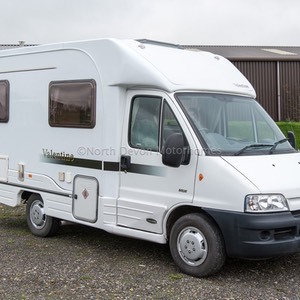 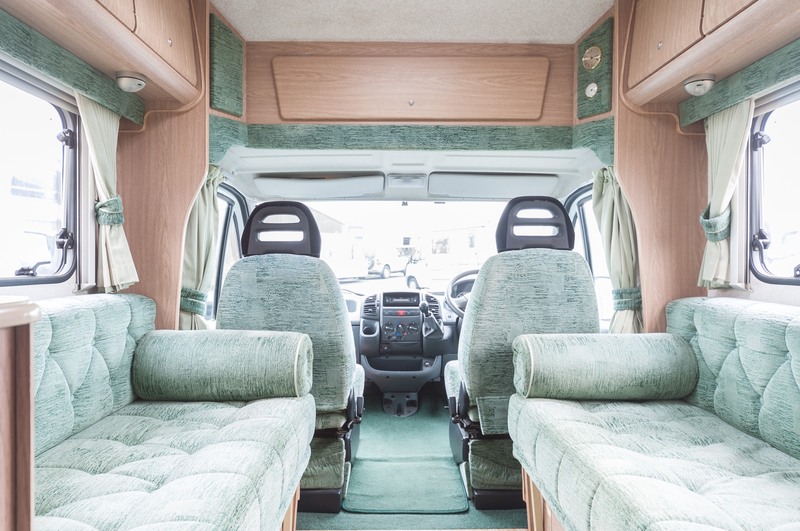 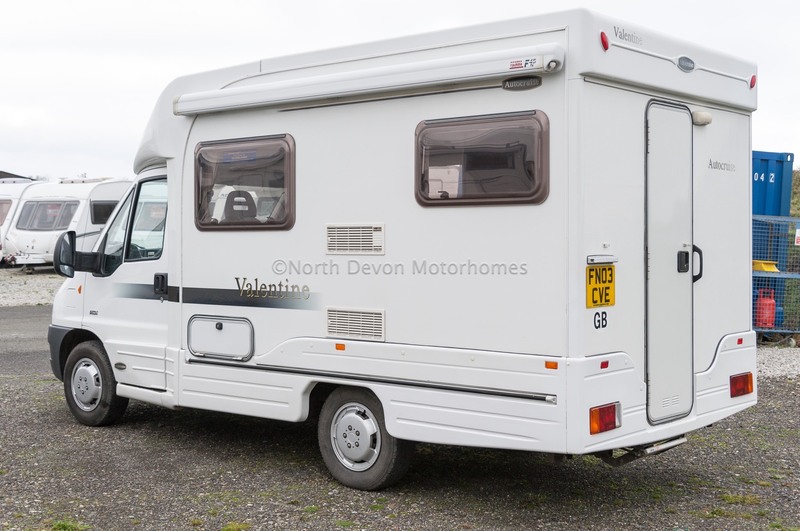 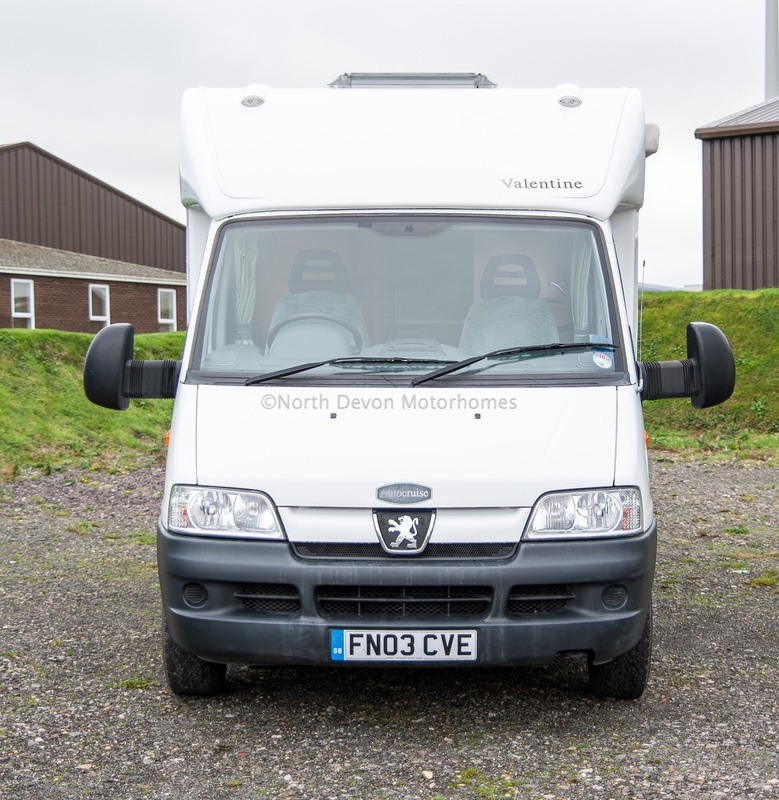 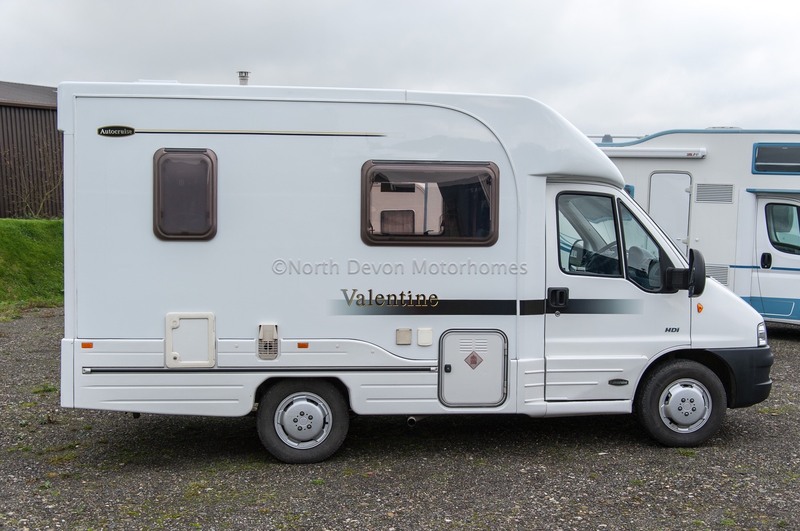 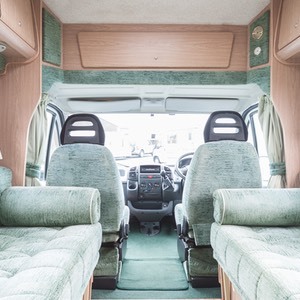 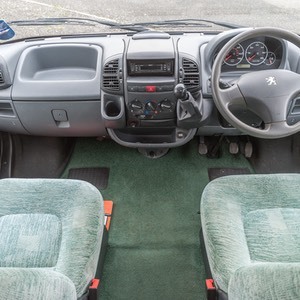 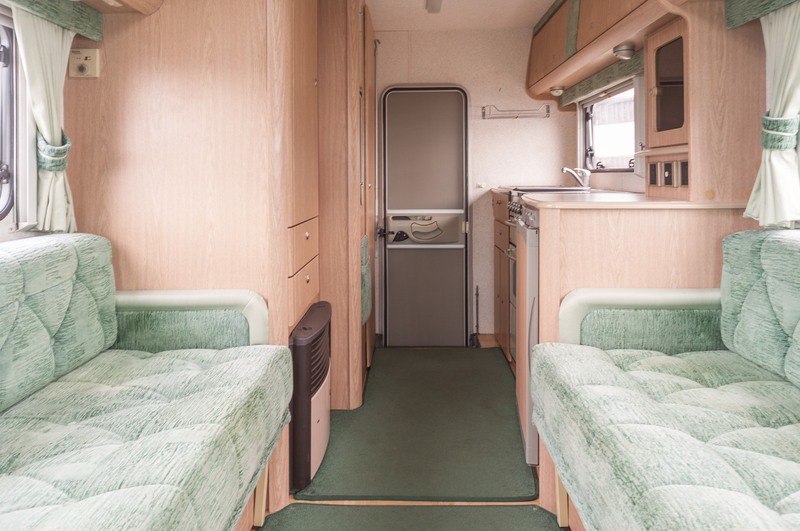 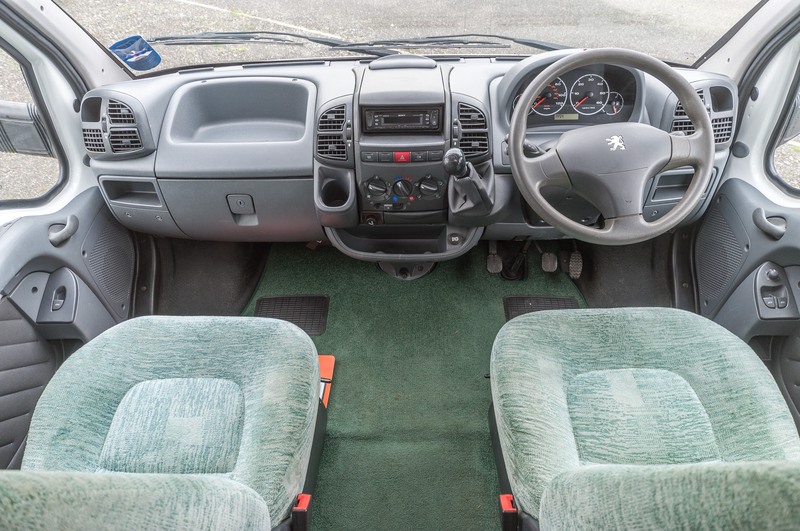 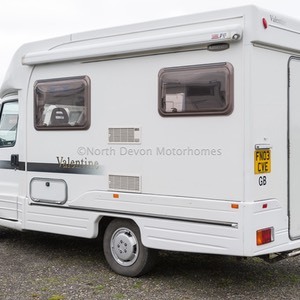 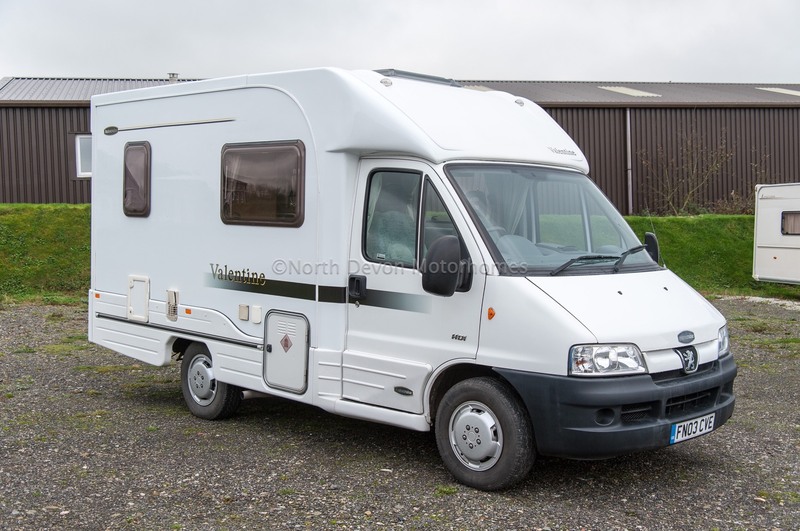 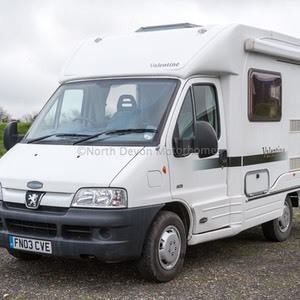 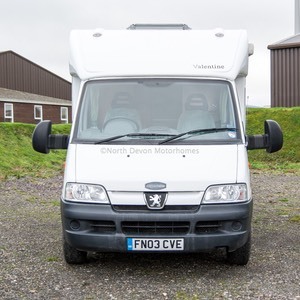 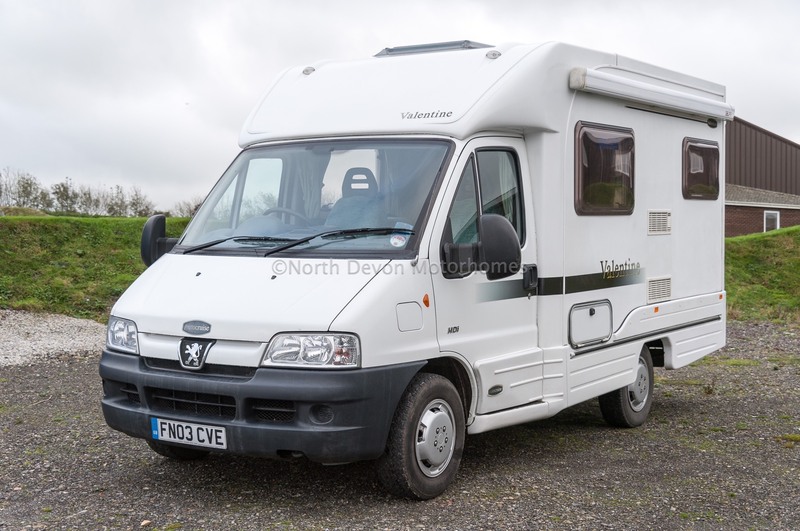 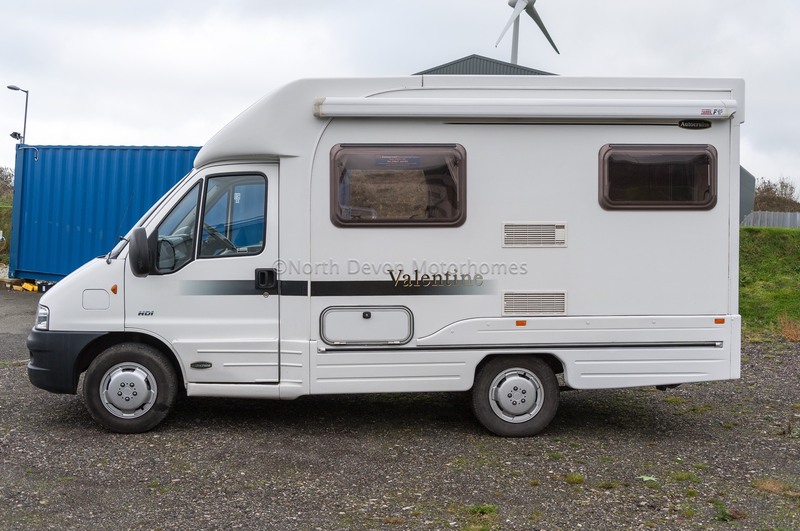 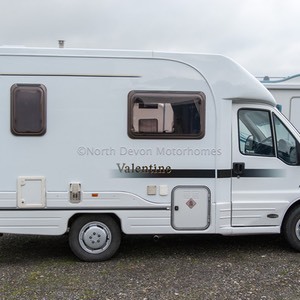 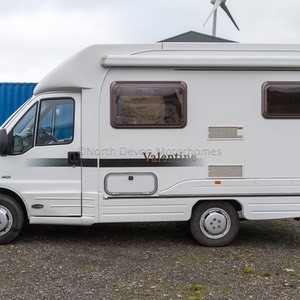 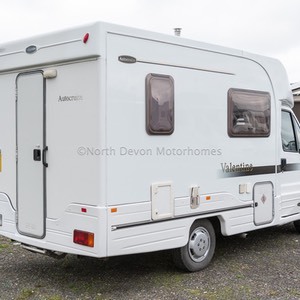 A superb compact 2 berth coachbuilt by reputable convertors Autocruise, this little gem is in exceptional condition for the age having covered just 39,000 miles from new. 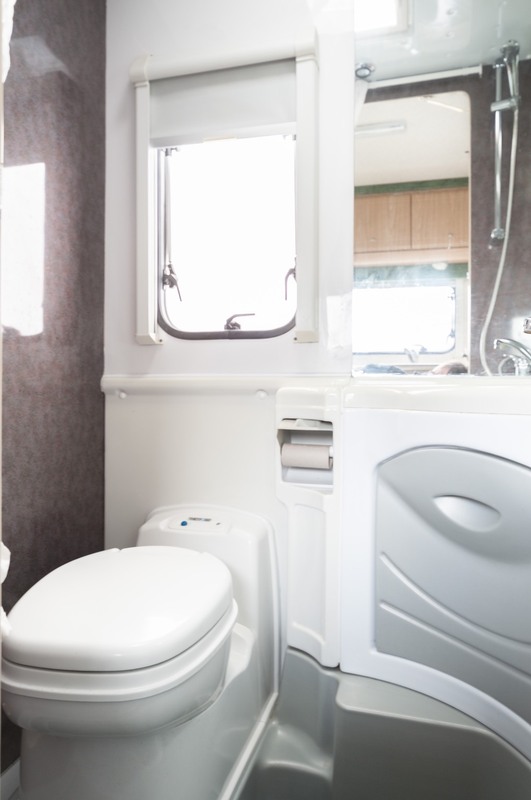 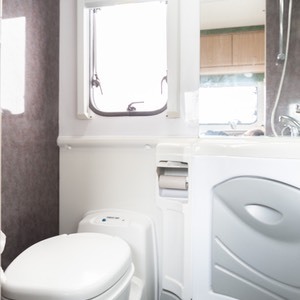 Washroom: High quality with swivel cassette toilet, shower, moulded corner sink unit with low level built in storage. 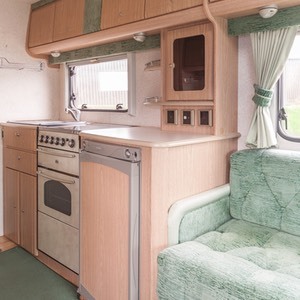 Window with nets and blinds. 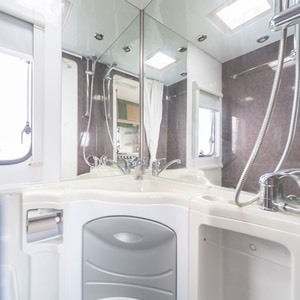 Large vanity mirrors. 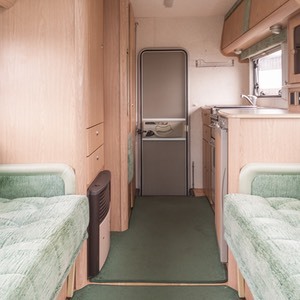 Hot blown air heating point. 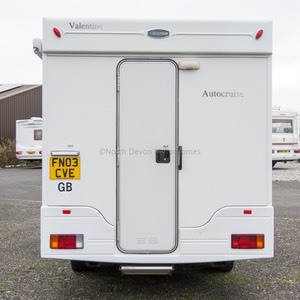 12V spotlight and skylight/roof vent. 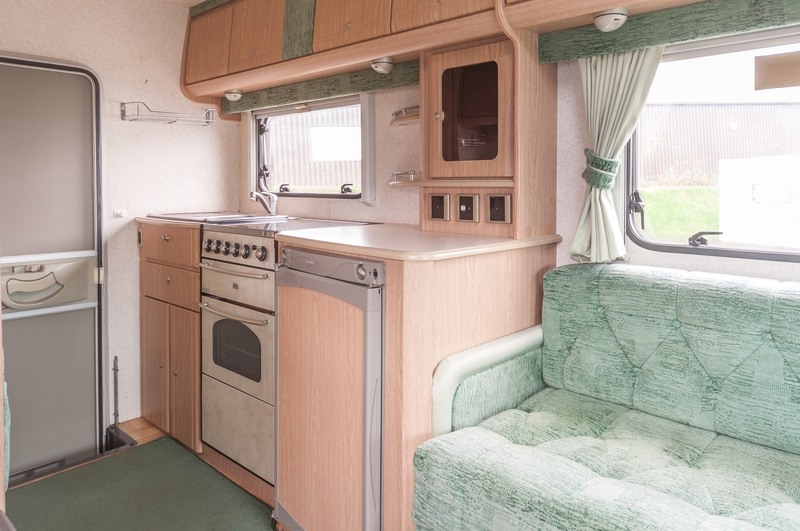 Galley style kitchen incorporating a decent sized Cuprice Oven and grill with four burner hob unit. 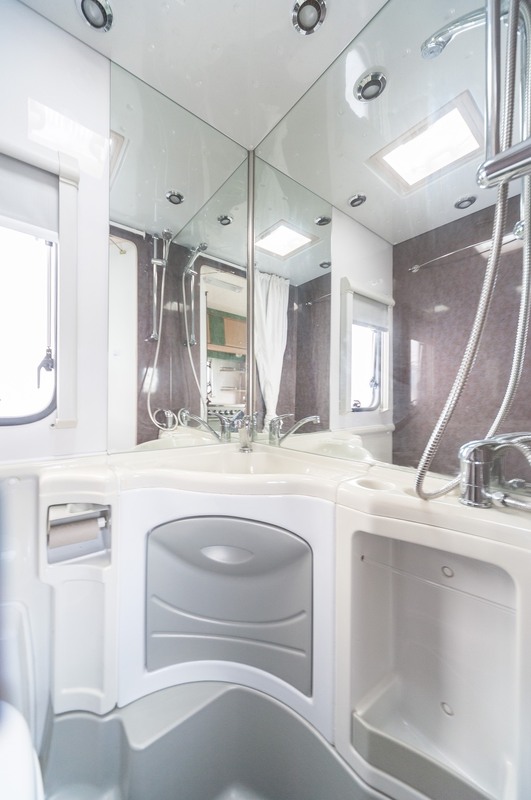 Sink with drainer, large 3 way fridge. 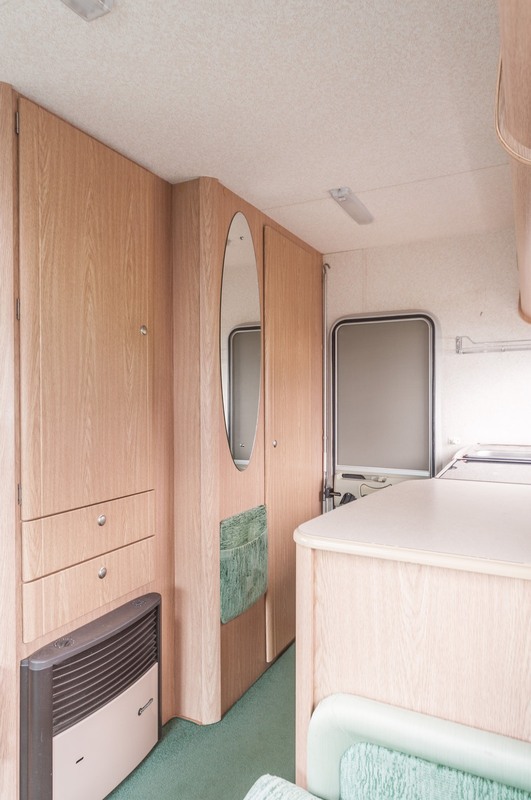 Ample low and high level storage. 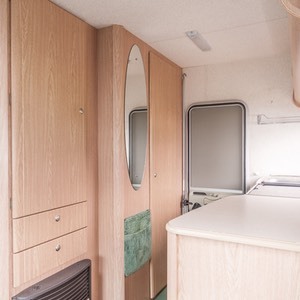 Window above sink and 12V spotlighting. Trumatic LPG fire with hot blown air system. 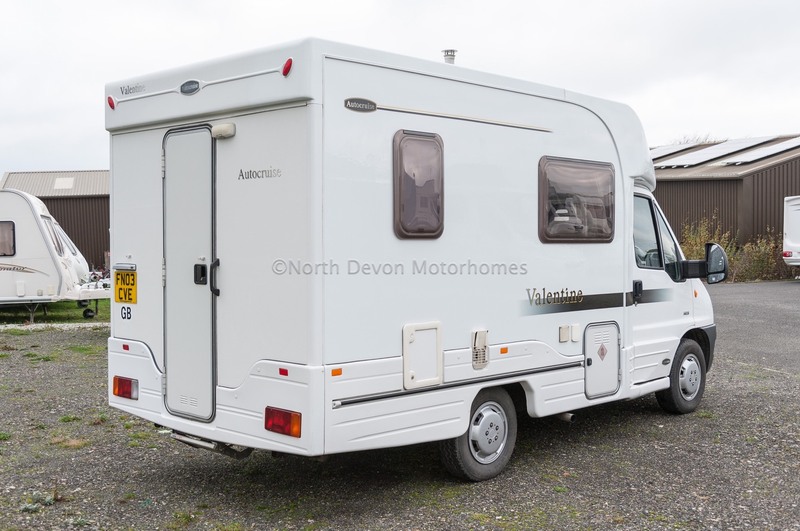 Awning, Stereo and Free Standing carpets.